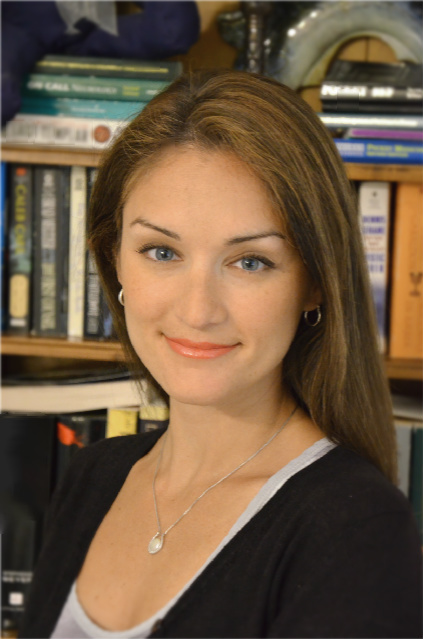 Hope HealthCare Services announces Dr. Amanda Jane Avila as medical director for the Hope Parkinson Program. Specializing in the medical management of movement disorders, Dr. Avila is the first movement disorder specialist to practice locally in Southwest Florida and will assist patients in the medical management of Parkinson’s disease, including tremors, stiffness and balance control. Dr. Avila will discuss medication management in Parkinson’s disease at the Nov. 16 “Lunch & Learn for Hope Parkinson Program,” taking place in Hope HealthCare Services’ community room at 9470 HealthPark Circle in Fort Myers. There is no cost to attend, and reservations are made by calling 239-985-7727. 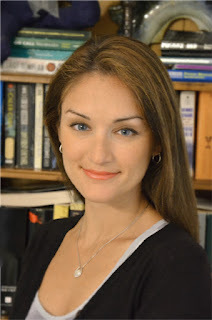 An undergraduate of Boston College, Dr. Avila earned her M.D. from the University of Vermont College of Medicine and completed a fellowship at the University of Florida College of Medicine’s Center for Movement Disorders and Neurorestoration. Dr. Avila completed her neurology residency at Brown University and is board certified by the American Board of Psychiatry and Neurology. She has been a junior member of the American Academy of Neurology since 2007 and the Movement Disorders Society since 2011. The Hope Parkinson Program provides support, counseling and other services needed for quality of life through knowledge, movement, creativity and fellowship – all important components of treatment for individuals and their care partners. Services include education, support group meetings, referrals for medical care, exercise and movement classes, creative arts classes and socialization. Debbie Prichard, Hope HealthCare Services director of staff engagement and a Senior Professional in Human Resources since 2000, recently received her recertification, a career-long commitment dedicated to mastering the core HR principles and staying current in the HR profession. SPHR is the senior-most human resources certification for those who have demonstrated a strategic mastery and real-world application of forward-thinking HR practices. To earn the distinction, Prichard completed a rigorous exam focused on business management and strategy, workforce planning and employment, human resource development, compensation and benefits, employee and labor relations, and risk management. Prichard previously served on the board of directors for HRMA of Southwest Florida. Martha Bryson, SPHR, Hope HealthCare Services director of staff relations, has been appointed registrar for the HR Florida State Council, an affiliate of the Society for Human Resources Management. Currently serving as treasurer, Bryson serves as part of the executive committee that governs the activities of the council, including the 2013 HR Florida State Conference & Expo. A member of the Hope HealthCare Services team since 2003, Bryson is certified as a Senior Professional in Human Resources, a career-long commitment dedicated to mastering the core HR principles and staying current in the HR profession. She has held the position of secretary and was a two-term district director on the HR Florida State Council. Bryson previously served as president of HRMA of Southwest Florida and is a graduate of Siena Heights University in Michigan. Representing more than 14,000 individual members, the HR Florida State Council is the state affiliate for the SHRM. Founded in 1948, SHRM is the world’s largest association devoted to human resource management. HR Florida State Council is a 100 percent volunteer entity whose primary objective is to support the mission and initiatives of SHRM through education, coordinating professional development efforts, and serving as the conduit for communication among SHRM and chapters as well as at-large members. Palliative care specialist Candy Quigley, M.D., has joined Hope HealthCare Services as associate medical director for the Cape Coral area. With more than 30 years of experience in the medical field, Dr. Quigley will be responsible for providing care and support to patients and their families during end stages of life. Prior to joining Hope, Dr. Quigley served as associate medical director with Tidewell Hospice and Palliative Care in Sarasota. She holds numerous certifications and licenses, including board certification by the American Board of Hospice and Palliative Care and the American Board of Emergency Medicine. She is certified to practice medicine in the states of Florida, New York, Vermont and Indiana. Dr. Quigley earned her medical degree from Wayne State University School of Medicine in Michigan and completed her residency at the University of Louisville General Hospital in Kentucky. Dr. Quigley is a member of the American College of Emergency Physicians, Florida College of Emergency Physicians, American Academy of Emergency Medicine and American Academy of Hospice and Palliative Care. From October 28 – November 17, 2012, Evelyn & Arthur’s new Estero location in the Coconut Point Mall will collect gently used clothing and accessories as part of a donation drive for Hope Hospice. Merchandise collected at this Evelyn & Arthur location will be resold at Hope Chest, supporting programs and services that Hope provides to patients and families throughout Southwest Florida, regardless of their ability to pay. This will be the second year that Evelyn & Arthur has partnered with Hope Hospice. Their first donation drive proved to be a huge success with shoppers donating carloads of clothing and accessories. Those interested in supporting this donation drive are encouraged to bring gently used clothing and accessories to Evelyn & Arthur in Estero. 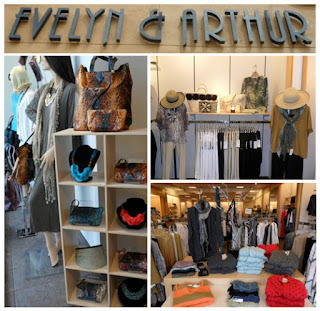 Those who bring in donations will be treated to 10% off Evelyn & Arthur brand merchandise -- the offer is good until December 15, 2012. 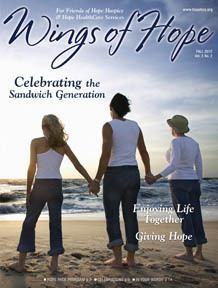 Read about Hope PACE, see event photos, discover upcoming fundraisers and get all the important news from Hope. Click the image above for the full version.